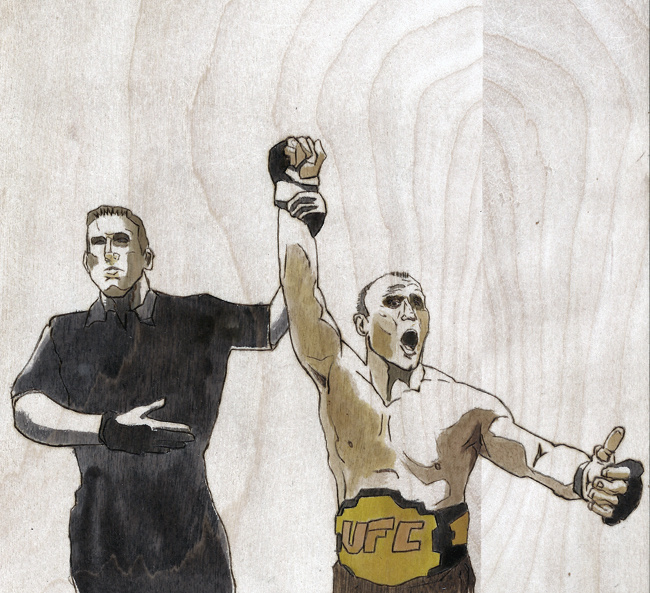 In 2006, Matt Serra's UFC record was a middling 4-4. The first American to earn a Brazilian Jiu-Jitsu black belt from Renzo Gracie was a fine mixed martial artist but not a great one. That year he was selected to be a participant on the 4th season of The Ultimate Fighter, which, unlike previous seasons, featured veteran fighters hoping for a comeback. It was a situation that could have played out like a season-long parody, with a bunch of older fighters struggling to get into the UFC, or back into the UFC, with the help of temporary trainers, rather than season-long coaches. Instead, the show served as a showcase for Serra's upbeat and relentlessly positive personality. He emerged as Team Mojo's de facto captain and won all three of his fights on the way to a UFC contract and a title shot againt welterweight champion Georges St-Pierre. On April 7, 2007 at the United Center in Houston, Texas, Serra got his chance against St-Pierre, a superior striker seven years his junior and with a six inch height and reach advantage. 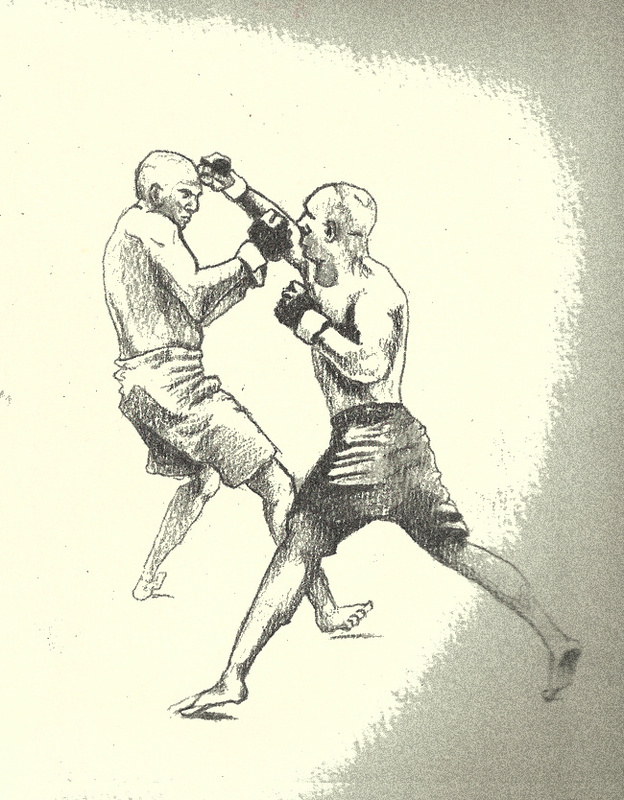 Everyone expected St-Pierre to defeat Serra easily, and for the first minute of the fight, the champion kept the challenger at the end of his high kicks, exploiting the reach advantage. 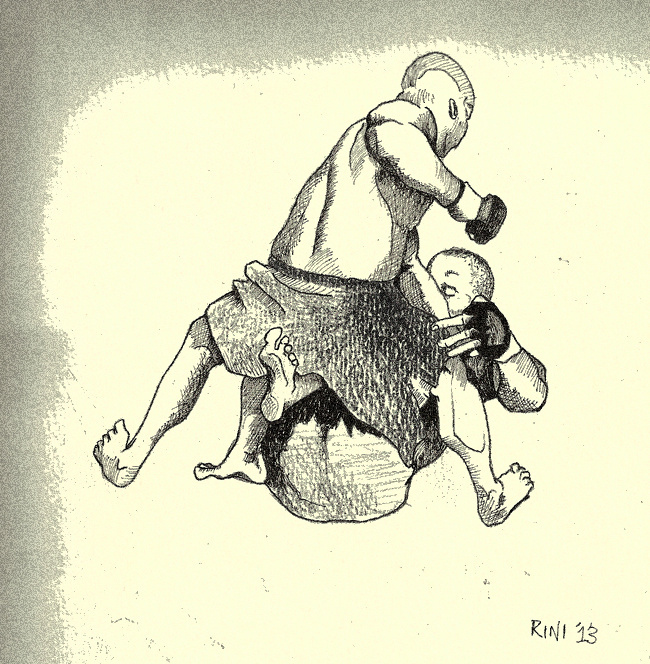 Serra remained persistent, though, wading in close and firing off leg kicks and body shots. At 2:03, everything changed. A glancing blow wobbled St. Pierre (fig. 1) and like a shark smelling blood (or just a seasoned veteran) Serra never let up. Forsaking any semblance of defense, Serra threw his body behind ever punch (fig. 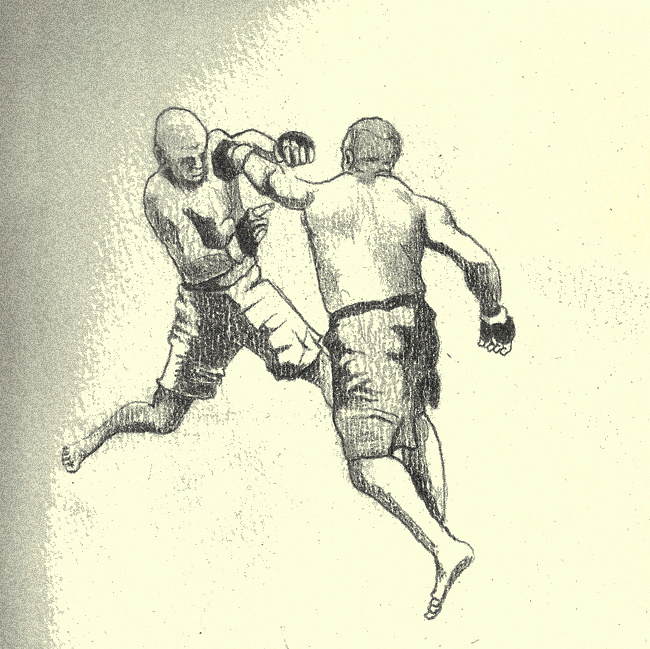 2), chasing St. Pierre across the Octagon and landing damaging shots (fig. 3). After defending a last-ditch GSP attempt at a single leg takedown (fig. 4), Serra's ground-and-pound assault forced the champ to tap to strikes at 1:35. 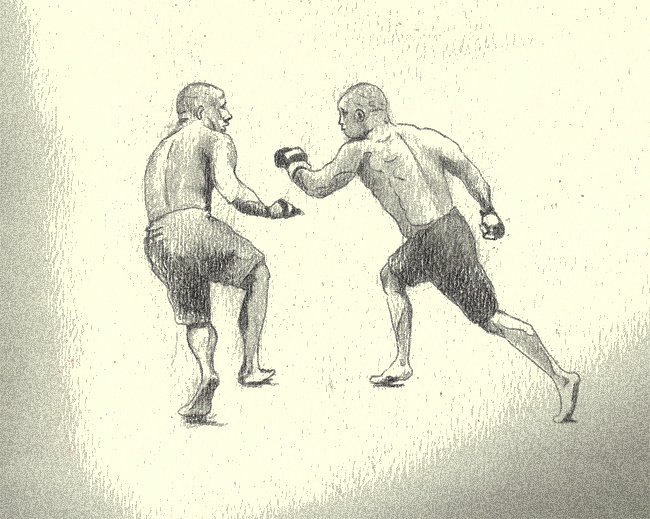 To this day, many consider this fight the greatest upset in MMA history. 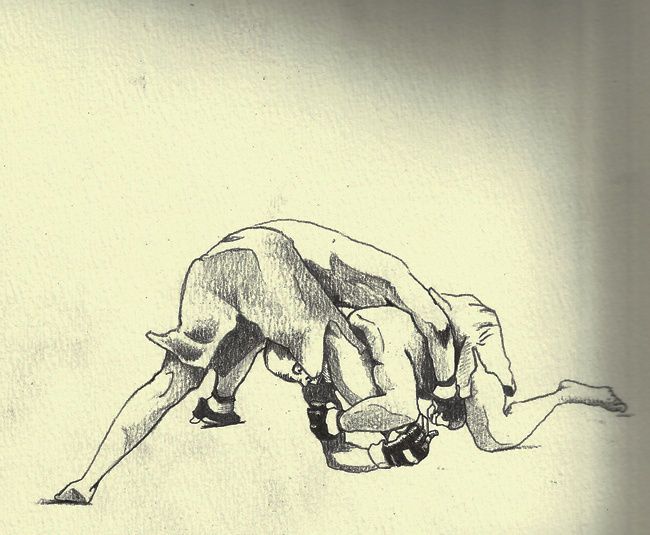 St. Pierre himself has cited it as one of the most important learning experiences in his career, and it became the turning point in his fighting style. Many fans have said St-Pierre hasn’t been the same fighter since—that being knocked out scared him and turned him from a striker into a wrestler, from a fighter into a mere tactician, always thinking safety first. The fact that he hasn’t finished a fight in more than four years, they say, bears this out. But that’s a story for another time.